The technology has helped equip and provide different measures to deal with hair loss and baldness in men and women. The two latest techniques used in hair transplants are Mega and Giga session techniques that mount on the level of hair acquired through transplantation. A hair transplant is generally a procedure where hair is removed from one area (donor) to the other area (recipient). What are Giga Session Hair Transplant Procedures? Giga session is a procedure that allows a hair surgeon to use both FUT and FUE Hair transplant techniques. This procedure can be performed in one session or more depending on a number of grafts to be harvested and implanted. The procedure can allow 5100 grafts to be extracted in the single round using a strip or getting hair by a simple tool. Since the technique involves two procedures, a strip of hair is removed from the donor area and that is at the back of the scalp where there is a more density of hair. All the grafts of the strip are utilized in the hair transplantation. In the FUE technique, almost 5200 can be harvested from the scalp or from the other parts of the body. The grafts are then implanted properly and this can be done either in a single round or two depending on the speed of the surgeon. 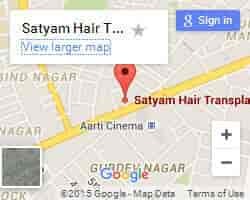 A Giga Session Hair Transplant in India is performed at the best hair transplant clinic in India. Consult the expert to get the way forward to having the best Giga session hair transplant procedure.